The 2015 National Quilt Association Quilt Show will be held in Little Rock, Arkansas (my hometown). 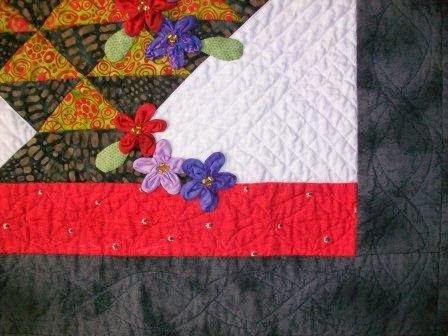 This is the quilt I made and submitted hoping it will be accepted for the show. 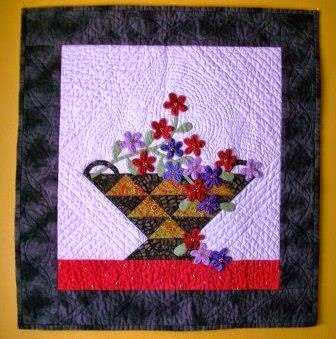 It used mixed techniques -- piecing, applique, beading, three dimensional flowers. It is machine quilted. The quilt measures 23.5 in X 25.5 in. 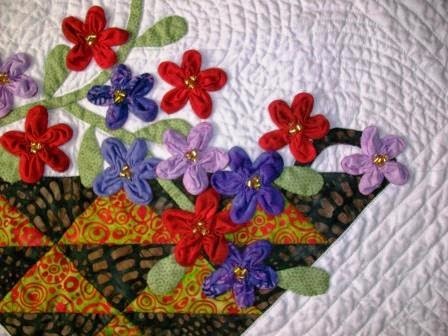 This photo shows the flowers and quilting in a bit more detail. This quilt does the same. 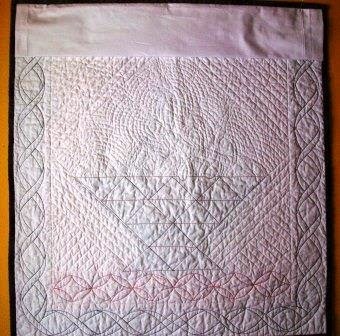 This photo shows quilting from the back.